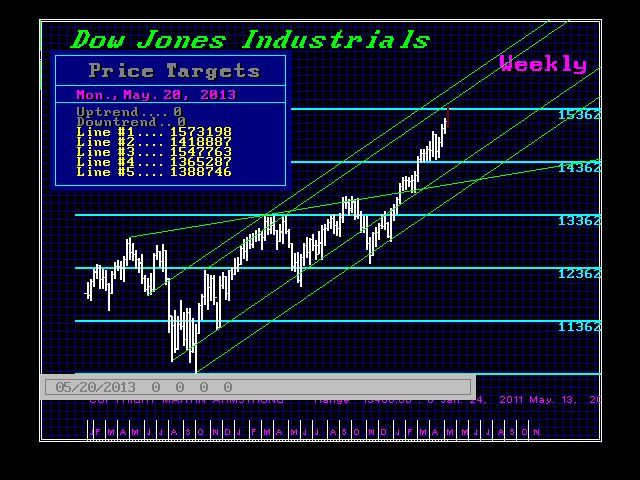 The Dow this week reached 15408.00 with our projected technical resistance standing at 15438.92 followed by 15693.27. Next wee we see 15477.63 and 15731.98 as technical resistance. The Weekly Bearish are in the 14300 zone and a crack of that area would signal a drop to the 13500-13600 area. 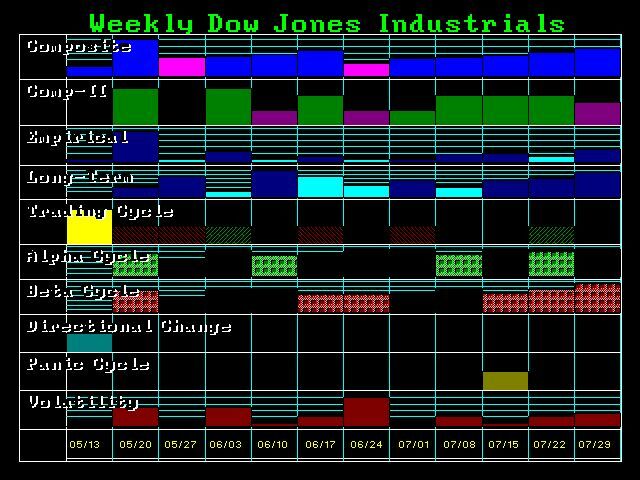 The Weekly turning points are shaping up as 05/20, 06/17-24 and 07/29-08/06 which is the ECM target. 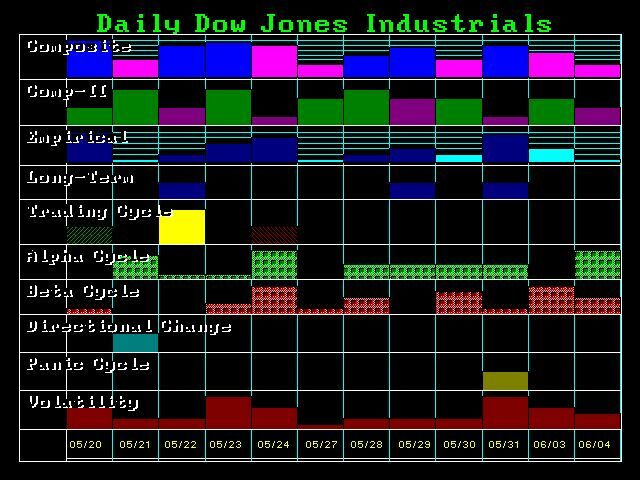 This week is a Directional Change and next wee 05/20 starts the increase in volatility. It looks like Monday should be the turning point followed by a Direction Change on Tuesday and the next target being 05/23. So you may want to take profit on Monday and reenter on a dip or if the high of the week of 05/20 is exceeded.A daily closing below 14590 will signal a correction is in play. Immediate closing daily support lies at 15005.